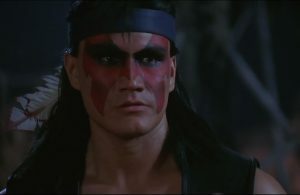 I have always held a certain special place in my heart for Nightwolf. He was my favorite character as a kid in the god awful Mortal Kombat: Annihilation movie. They already did most of the work with Nightwolf as far as character modeling goes. He was non-playable in the Mortal Kombat X story mode, where he spend most of it as a revenant of Quan Chi. As a matter of fact, if this is indeed the last hoo-rah for Netherrealm Studios I will be extremely pissed off if all of the characters from the story that were modeled and not playable are not added to the game. Assuming Netherrealm studios doesn’t just bring back Freddy Krueger from the last game, it would make sense that they keep moving forward with the introduction of horror characters into the Mortal Kombat Universe. 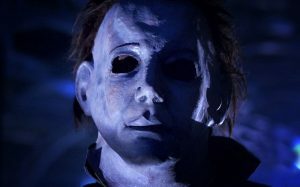 We already have the likes of Jason, Leatherface, and Predator… why would they not add yet another iconic 80’s horror film classic character like Michael Myers? Shang Tsung, Mortal Kombat’s O.G shapeshifting badass is a key character in the series. He was mostly left out of Mortal Kombat X aside for some cameo appearances in Ermac and Erron Black’s endings. 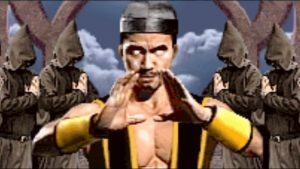 Shang Tsung is a powerhouse of a character and his shapeshifting playstyle could really shake up what is already a pretty diverse fighting game roster.